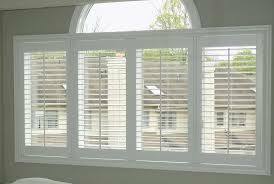 Composite shutters offer several advantages when compared to wood shutters. Phenolic resins increase moisture resistance, while zinc borate increases resistance to rot and termites. The plastics used in the mixture also reduce the uptake of moisture. This results in less maintenance and a longer life span. Compared to vinyl shutters, composite offers the strength of wood and can be milled, giving an authentic look of a timeless traditional wood shutter. Composite Shutters instantly transform the style of your home and complement any décor. They are easy to clean, just dust them like furniture or wipe smudges with a damp cloth. Built with energy conservation in mind, Composite Shutters are proven to be up to 1600% more energy efficient than aluminium mini-blinds. They feature exclusive Astragal flap on each stile (vertical sections) to help block out more temperature and light than any other shutter, and a finish that is UV coated for ultimate protection against the elements. They’ll look beautiful in your home day after day. Contact DC Shutters for Composite Wood Shutters in Brampton, Oakville, Kitchener, Waterloo, Hamilton, Niagara, Toronto, Richmond Hill, Aurora, Newmarket, Ajax, Whitby, and Oshawa.